I can honestly say that at three years old, you are one of my absolutely favorite people. I don’t mean that I like you because you’re my daughter. I mean, of all the people I’ve come across in my life, I’d choose you to be around! You say hilarious things all the time. 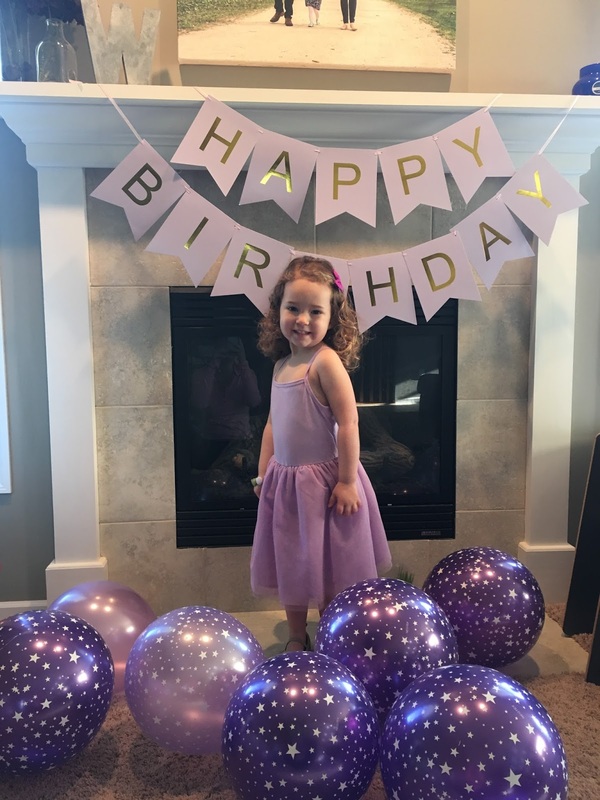 You told Weston’s friend at school that “your brother needs a little space!” You were insistent that we’d have a purple cake with a rhino on it for your birthday, and think you can only “giddy-up” while wearing sparkle shoes. But, beyond the funny things you say and do, you have a sense of humor that is dry and off-the-wall. I appreciate it so much! You ask your dad and me how our days were during dinner. Then, you nod your head as we talk about our experience and ask follow-up questions. Do you know how rare this is? There are so many adults who don’t take the time to truly listen. And, at age three, you do! How cool is that? You are an Amazing Sister. Your entire demeanor and tone changes when Weston is around. You bend down to look him in the eye even though he’s not much smaller than you. You offer to share your birthday presents with him and yell from the other room that you’ll be right there when he’s crying. The genuine care you show for him makes me happier than you’ll ever know. You know what you want and you won’t stop until you get it. I’ll be honest, sometimes this is a hard one as your mom! I’ve never met someone as stubborn as you. You don’t back down when there is something you want. And, while at three this can be frustrating, I know that this drive will serve you well in the long-term. You go to great lengths to tell me about the things you want. You leave no detail out! This can (and does) often include the shoes you think you should wear for a particular activity and / or how you think we should proceed with a family adventure. I often think it’s my job to just keep you safe on your quest toward your vision! But, ultimately, Nora James, I hope you know that for three years you have been loved. Through every smile, tear and frustrating-as-hell moment, you have brought so much joy to your dad and me. Today, and every day since you were born – I love you and I like you!